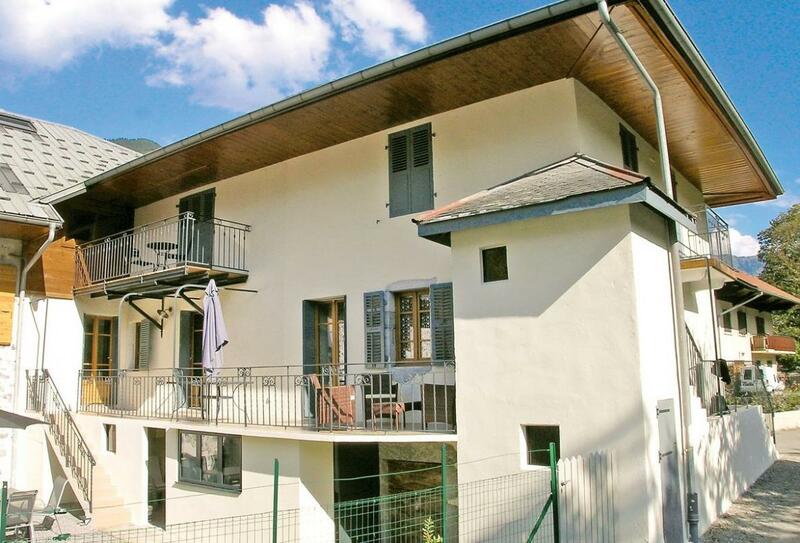 Brilliant 3 bedroom holiday home sleeping 6 near Annecy, Alps. A splendid holiday villa for an unforgettable family holiday, this property has everything you"re looking for in a holiday home! On site parking. Satellite TV. Cot available. Highchair available. Airport within 1 hour. Pets not accepted. This spacious first floor holiday apartment is comfortably furnished with balconies overlooking a private garden and patio. Located in a rural hamlet between Annecy and Albertville, and just 10 minutes from Doussard and lakeside beaches. All the rooms are spacious and one bedroom has an en-suite bathroom. A cycle path leads to Lake Annecy, well known for its water sports, with sailing, swimming, and fishing. Faverges, 10 minutes away, offers shops, restaurant and shuttle service to the family resort of Sambuy in the winter months. The picturesque villages of Talloires and Menthon-St-Bernard are easily accessible. Paragliding at Col-de-la-Forclaz, canyoning, hiking, Via Ferrata or golf course in Giez are all easily reached. Location: 2km from shop and restaurant, 4km from Doussard (shops, lake), 4km from Lake Annecy (water sports, swimming, fishing), 60km from Geneva (shops, airport).